ISLAMABAD – The America-loving Pakistani doctor who helped the CIA pinpoint Usama Bin Laden in advance of the raid that killed the world’s most wanted man could be on the cusp of freedom. Dr. Shakil Afridi, whose vaccination ruse helped the U.S. determine Bin Laden was holed up in an Abbottabad, Pakistan, compound before the May 2, 2011 raid by SEAL Team 6 members and CIA agents, has been imprisoned for nearly six years in the majority Muslim nation. But with Trump set to meet Prime Minister Nawaz Sharif on his current Middle East trip, new hope has arisen that Afridi could be released on or around May 24, when he is due to appear in court. This week, a senior official at the U.S. State Department told Fox News the Trump administration has and will continue to press the case for releasing Afridi. 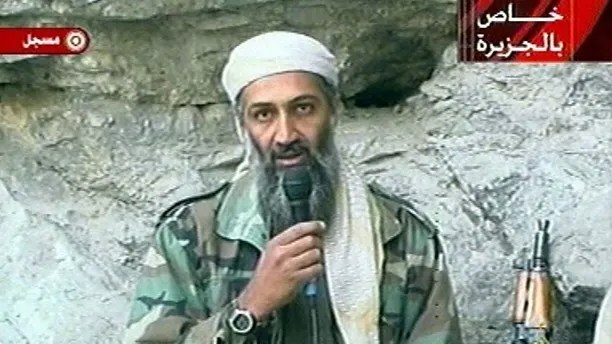 Usama bin Laden, shown here in a 2001 video, was living in Pakistan when SEAL Team Six killed him. Although the State Department official said Pakistan has offered assurances Afridi is being treated humanely and is in good health, a sit-down between Trump and Sharif, expected to take place in Riyadh in the next few days, would offer a chance for Trump to put pressure face-to-face on his counterpart. 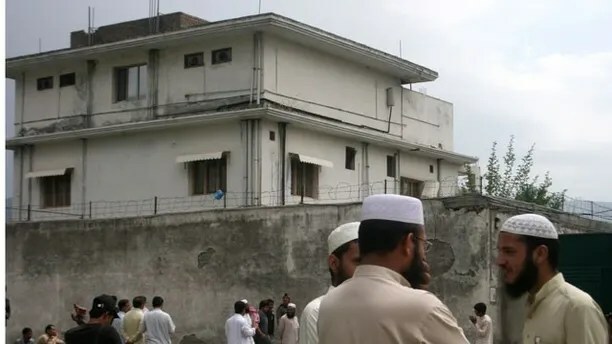 In this May 5, 2011 file photo, local residents and media are seen outside the house where Al Qaeda leader Usama bin Laden was caught and killed in Abbottabad, Pakistan. Afridi was hailed as a hero by U.S. officials for posing as a vaccination manager in the operation, obtaining DNA samples of bin Laden relatives and establishing his presence in the compound. But officials, including then-CIA Director Leon Panetta, made Afridi’s role public before the doctor and his family could get out of Pakistan, and he was quickly arrested. In a 2012 exclusive interview from his prison cell, Afridi told Fox News he was proud to have helped America get Bin Laden. Afridi’s case has been bogged down by endless appeals and court delays at a tribunal in Peshawar. While viewed as a hero to the United States, where he once lived, Afridi is seen by some in Pakistan as a traitor. The raid itself was seen as a violation of Pakistan’s sovereignty, even though the 9/11 mastermind and Al Qaeda leader’s presence in Pakistan was not likely a secret to many in power. Sartaj Aziz, an adviser to Sharif on foreign affairs, confirmed that Sharif will meet President Trump but declined to comment on Afridi’s case or negotiations between the nations for his release. However, a senior government official in Islamabad, speaking on condition of anonymity, indicated a deal could be close. “For improvement in the strained relations between Islamabad and Washington, it is the right time to resolve the pending issues including Dr. Afridi’s case,” he said. In May 2012, Afridi was sentenced to 33 years behind bars, under murky charges. Pakistani officials initially reported he was convicted of treason. Then in 2013, his conviction was overturned and he was instead charged with the murder of a patient eight years earlier and his prison term reduced to 23 years. Afridi filed an appeal seeking a new trial, but his lawyer told Fox News in 2015 that the case ground to a halt when proceedings were repeatedly canceled. While the U.S. provides Pakistan with more than $800 million in foreign aid, the U.S needs the mostly Muslim nation’s cooperation in the war on terror.